This book is the primary output of the three-year AHRC-funded project ‘Tate Encounters’ (2007-2010). Initiated by Walsh to address Tate Britain’s need to diversify the demographic range of its audience, the project was funded by the AHRC’s strategic programme ‘Diasporas, Migration and Identities’ (£500k). The project began as an examination of how Tate understood and engaged with diasporic audiences but rapidly expanded to more urgent contemporary issues of spectatorship and curating in national museums in relation to globalisation, hypermodernity and new media. As the Tate Co-Investigator, Walsh developed the research methodology and conditions to undertake an unprecedented and highly situated ethnographic organisational study of the museum. To test this method, she established a transdisciplinary collaboration with London South Bank University and University Arts London. This study involved interviews with 38 members of staff at all levels and led to a second data-gathering stage through a four-week public research programme, ‘Research in Process’, which brought together 72 academics, curators, artists, museum directors, new media specialists and cultural policy makers to discuss the project research findings in relation to both practice and theory. 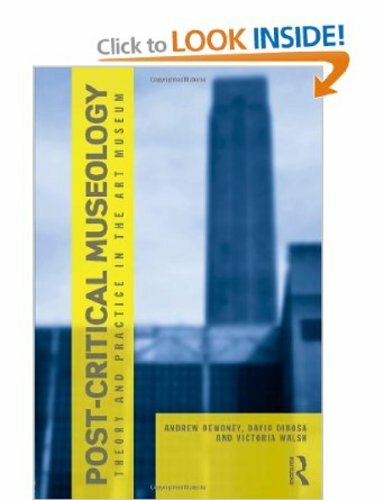 This co-authored book, of which 80% of the material presented is based on the organisational study and the Research in Process programme, proposes the new conceptualisation of spectatorship termed ‘Transvisuality’ and argues for a radical new model of practice-based collaborative, transdisciplinary research, defined as ‘post-critical’. In 2008, the project was shortlisted by ‘Times Higher Education’ for ‘Research Project of the Year’ owing to its innovative methodology and led to two AHRC-funded CDAs, for which Walsh is Co-supervisor. In addition to co-writing and co-editing the book, Walsh has co-authored four published articles and independently presented nine related conference papers in the UK, Netherlands, Germany, Finland and France.